Experiencing a Disney Park is typically a fun and joyful experience. There’s inspiring entertainment to watch, interesting food to eat, and fantastic attractions to ride. That’s not to say going to a Disney Park is generally a peaceful experience. Going to the resort is an active vacation that usually leads to walking at least 5 miles a day while fighting through crowds. For as much as we love going to the parks, there’s no doubt that it can be exhausting. Fortunately, staying in a hot and crowded park all day long isn’t the only option. In this new series, we’ll be going through all of the American Disney Parks (starting with Magic Kingdom) and giving convenient and enjoyable places to take a break outside of the parks. Walt Disney World certainly has more options on places to go outside of the parks than Disneyland Resort because of their dramatically different sizes. Bus transportation (and other types of transportation) is free to all who go through the park. Technically, taking a break anywhere on-site from any of WDW’s four parks is within reason. To make this post more interesting than simply writing “Go anywhere a bus will take you!”, I’m going to put a few guidelines on myself. For Magic Kingdom’s edition of this post, I’m going to keep all of the locations where guests could take a break outside of the park and within a couple of miles of Magic Kingdom. Perhaps the easiest way to get out of the parks while still doing something is having a meal. I’ll certainly include several spots to dine in this post but that will be tucked inside of a broader option. I also want to try to keep the options fairly unique. Disney World has some exciting hotels and transportation that some people don’t think about in the midst of a busy day in the parks. In reality, taking a quick break in one of these locations is well worth your time and may give you a boost of energy. Let’s get to the list! The top two places on this list are my favorite spots to go for lunch during a day at Magic Kingdom. The Polynesian is home to excellent dining options in Ohana, Kona Cafe, and Capt. Cook’s, the latter of which is a counter-service spot. Grab a meal there and then sit outside and enjoy the views of the pool and Magic Kingdom in the distance. If you are looking for a non-food break then the Poly is still a winner thanks to their wide open lobby and relaxed atmosphere. If it’s not too hot, take a stroll down to the water and enjoy the views from the sand beaches. Perhaps the crowds during the fireworks are a little too much for you? Then watching from the Polynesian Village Resort beach is a great option. Trader Sam’s Grog Grotto is another exciting option if you want to enjoy an adult beverage in a fun setting. You can get to Polynesian Village Resort via the monorail or boat from Magic Kingdom. Wilderness Lodge repeats Polynesian Village Resort’s relaxed setting but with a Pacific Northwest/National Park Lodge theme. With running water moving from the lobby all the way down to the pool area, Wilderness Lodge is a perfect spot to enjoy the Imagineering at it’s finest. Along with the lovely views, the hotel has some excellent dining options. Roaring Fork and Geyser Point Bar & Grill are both quality counter-service options that make a spur of the moment lunch trip easy. Territory Lounge is one of the better lounges at Disney World for those looking for an even more relaxed setting. 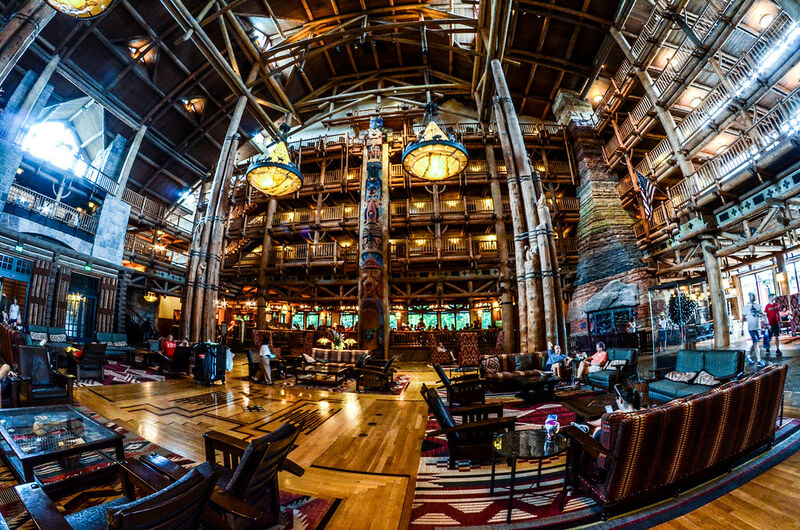 If you are simply looking to get out of the crowds then doing a slow-paced walk through the resort’s grounds is well worth your time, culminating in taking a nice break in the beautiful Wilderness Lodge lobby. Another perk of traveling to Wilderness Lodge is the beautiful boat ride from the park. It’s a little more lengthy than the one to the Poly or Grand Floridian and shows a different side of Disney World that you otherwise wouldn’t see. 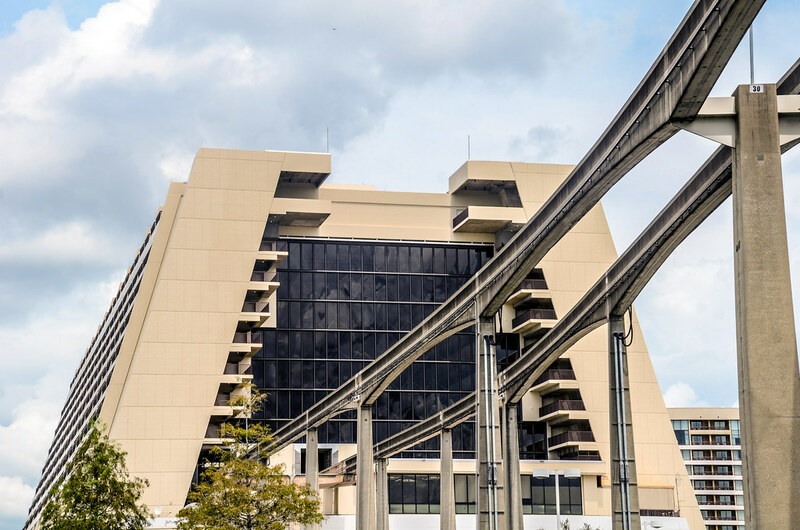 After the Contemporary, the monorail continues to Polynesian Village Resort which we already covered. 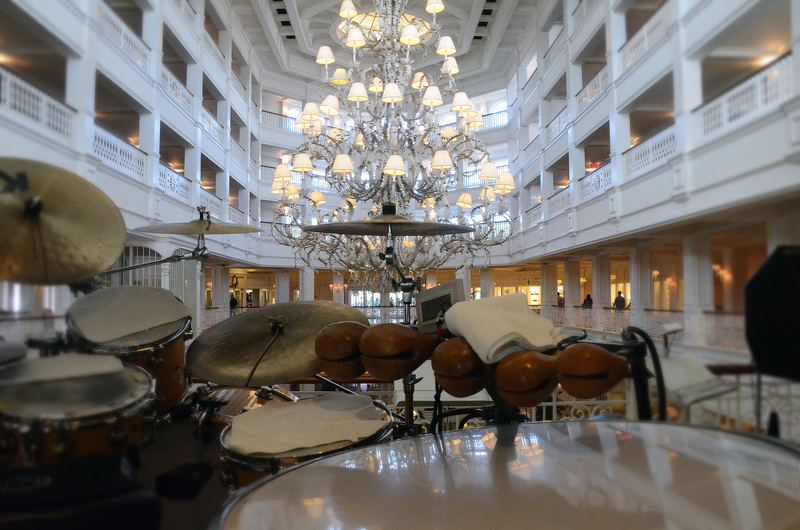 The last stop would be the Grand Floridian, a resort full of grandeur. The lobby alone is worth getting off the monorail for, as the beautiful staircase and chandelier give guests a peak at Victorian architecture. Outside the lobby is beautiful, as well, with pristine grounds. There’s a nice beach to explore and a few restaurants to enjoy, several table-service (if you can secure a reservation) and a counter-service spot. Finally, you’ll return to Magic Kingdom after seeing Disney World’s most famous hotels. 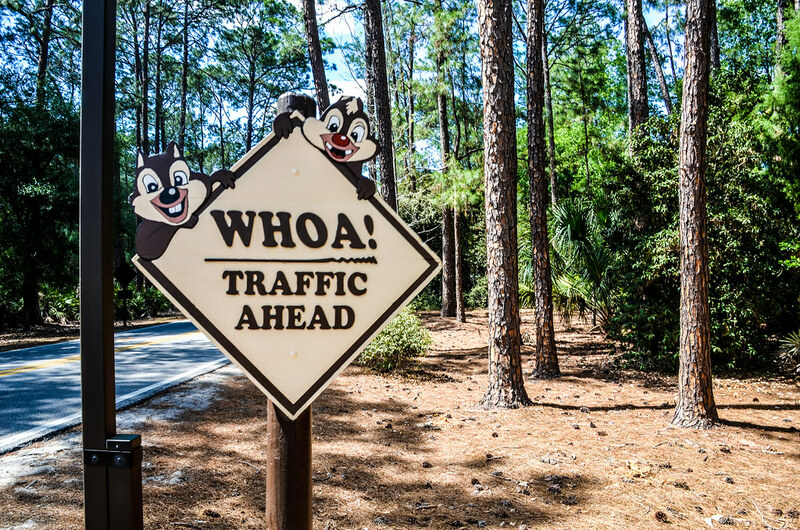 From Disney World’s most expensive and grand resorts to their campground, Fort Wilderness provides a nice contrast for those that enjoy the outdoors over luxury. Fort Wilderness grounds are massive and worth exploring. For those making the trek, you’ll take a boat from Magic Kingdom just like Wilderness Lodge. Once there, explore the restaurants (close to the boat dock), campground sites, and the outdoor fun that Fort Wilderness offers. On the opposite side of the resort from the boat dock is the Tri-Circle-D Ranch, home to horses and more outdoor fun. 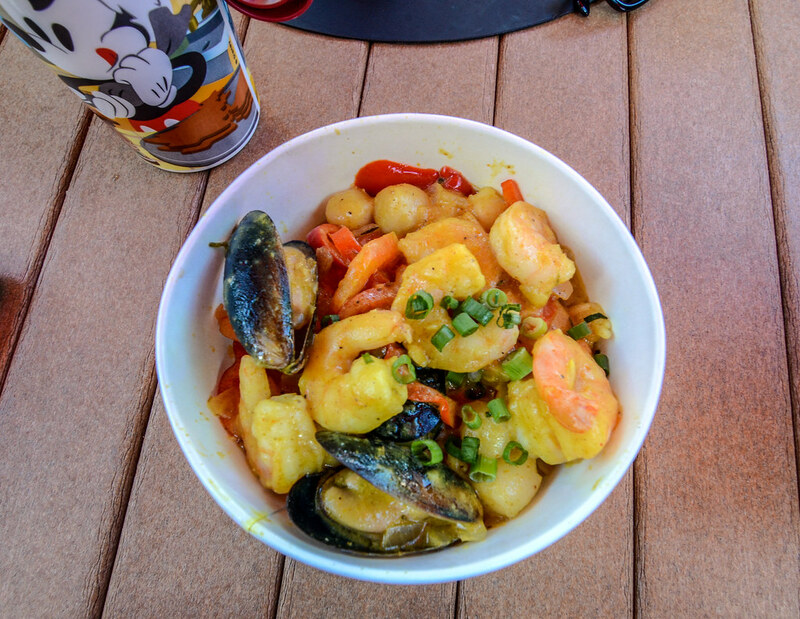 Fort Wilderness isn’t the best spot for an impromptu counter-service lunch but it is a fun place to go that showcases just how vast Disney World is. Our last entry is a bit of an oddball. 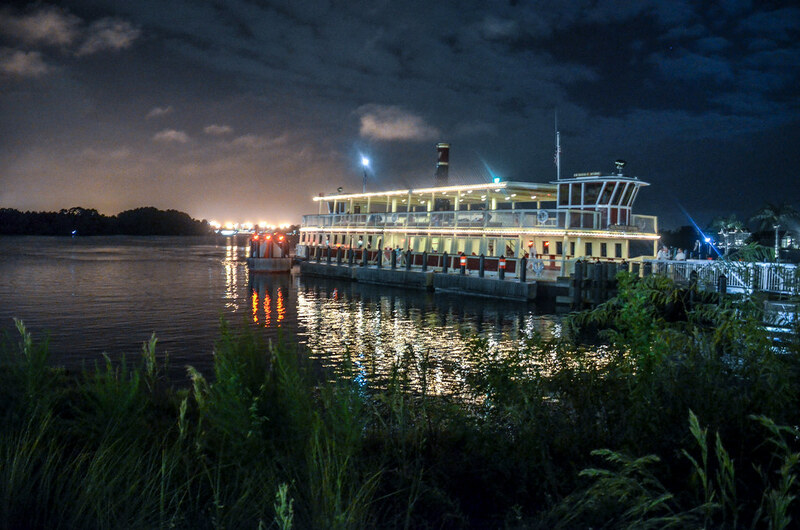 Taking a ferry from Magic Kingdom to the Ticket and Transportation (or vice versa) is a fun, relaxing experience that leads to interesting views of the park and surrounding resorts. For those that drove to Magic Kingdom as opposed to taking the bus, you may have already taken the ferry from the parking lot. If you are staying on-site and not driving around then the ferry is far more interesting and a fun ride. Obviously, this won’t be a break to eat and may not cool you off all that much depending on the weather but it will give you an interesting perspective of Magic Kingdom. Also, I’m just a sucker for boats. That covers our favorite ways to take a break from Magic Kingdom. Let us know your thoughts down below in the comments. We’ll continue this series with a post about Epcot coming in the next week or two. 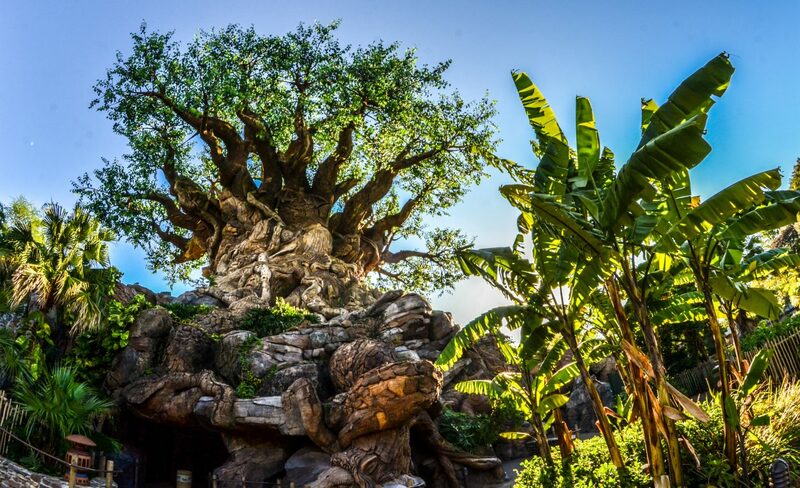 If you are planning a trip to Walt Disney World, check out our trip planning guide. Thank you for reading Wandering in Disney! If you enjoy what you’re reading please subscribe to the blog and like our social media pages! You can do both of those things on the right side of this page. Have a great day!